…and given the supposed depth of field here, where are the stars or any background ‘light sources’? This whole facade is really frustrating. you see the bright glow on the panel in the right of the frame? that’s the sun glaring off it. 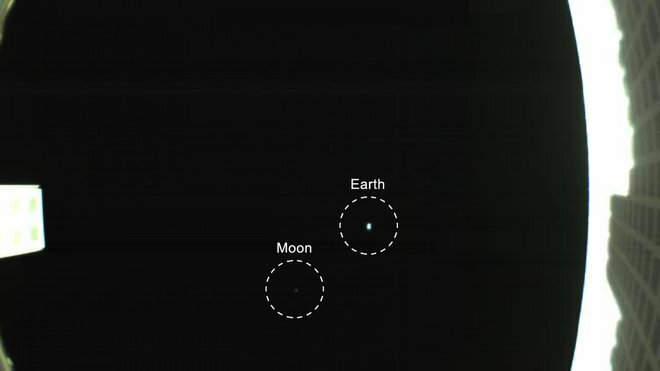 in such bright conditions the stars cannot be seen just as they cant during the day on the moon or when flying in the upper atmosphere (or on earth but on earth they are also blocked by the blue color of the atmosphere which we see as the sky,) we can see ther earth and moon as they are reflecting sunlight. WTF?? Go on, tell us the moon is so dark because it was taken at night!!!!!!!!! !